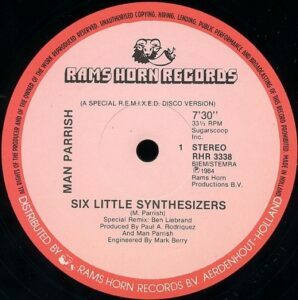 An unofficial European only release this time featuring the legendary Klaus Nomi, once again on Rams Horn Records including a Ben Liebrand remix of the title track. 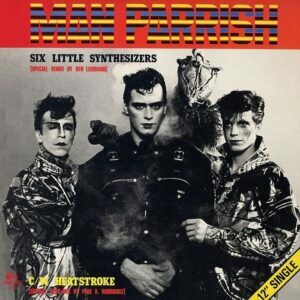 The track was incorrectly titled “Six Little Synthesizers” on the label and sleeve. 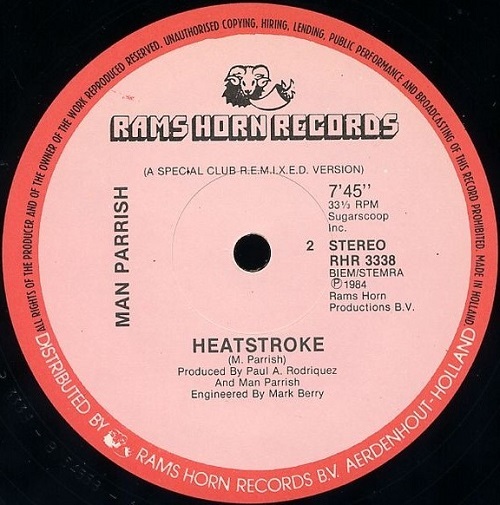 For further info please check out Man Parrish’s website at www.manparrish.com and for his latest releases you can check his Soundcloud page.